Thierry Henry is the name on everybody's lips in France just now, with the Arsenal legend tipped to return to his home country as the next coach of Bordeaux. The south-western club's start to the season has been marred by a public row between Uruguayan coach Gustavo Poyet and the board over transfers. Poyet, who took over in January and led Bordeaux to European qualification, was suspended for a week and now looks set to be shown the door. In the meantime, media reports in France say Henry, 41, is keen on the idea of succeeding Poyet at a club who are set to be taken over by American investors. Henry, France's all-time record goal-scorer, retired as a player in 2014 and has worked as an assistant coach for the last two years with Belgium. 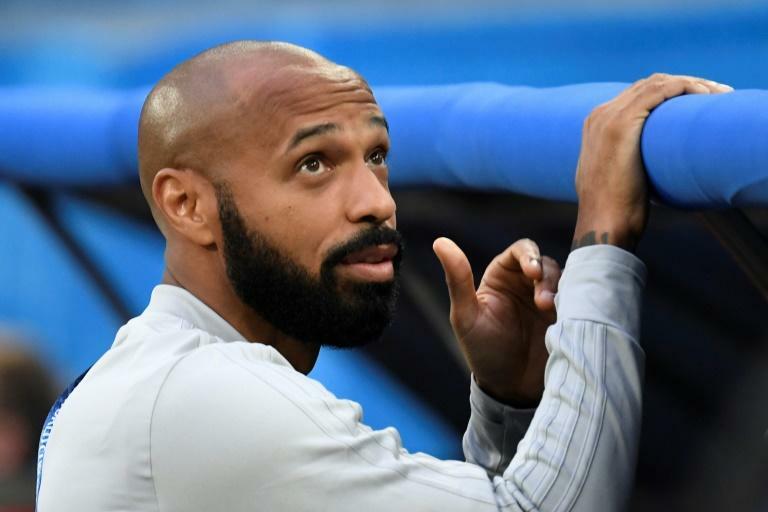 Lyon coach Bruno Genesio this week likened Henry's coaching trajectory to that of his former France teammate Zinedine Zidane, an ex-Bordeaux player. "Henry's path is similar. He has done his training, taken different jobs where he has had experience of working with a group of players," said Genesio. If Henry does arrive, he would follow in the footsteps of another 1998 World Cup winner -- Patrick Vieira took over at Nice in the close season. Genesio added: "They are former players who have had a big impact on the French game. They bring a lot of media interest and I think it's good for French football." Bordeaux have had a terrible start to the campaign, losing their opening two games, including a 2-1 defeat at Toulouse last weekend under interim coach Eric Bedouet. They took on Gent in Belgium in the Europa League on Thursday and on Sunday will face Monaco, Henry's first club. There is already a familiar name at the top of Ligue 1, with champions Paris Saint-Germain having maximum points after Kylian Mbappe came off the bench to score twice in a 3-1 win at Guingamp last weekend. That was Mbappe's first appearance since starring in France's World Cup triumph, and the 19-year-old will hope to start alongside Neymar when PSG host Angers. Newly-promoted outfits Reims and Nimes have also won both games so far, as have Dijon, who go to Vieira's Nice. Nice are still without the suspended Mario Balotelli, but at least the Italian striker is staying with the club after the collapse of a move to Marseille. Balotelli had been keen to leave, but Nice claimed Marseille refused to meet their asking price of five million euros ($5.8m). Nice president Jean-Pierre Rivere then revealed that the former Manchester City and Liverpool player informed the club of a change of heart this week. "Mario told us he wanted to stay for another season. We never forced Mario to stay. In his mind he is 100 percent with us," Rivere told L'Equipe. For Marseille, losing out on Balotelli followed a chastening 3-1 defeat at Nimes. The news that Serbian winger Nemanja Radonjic is set to join from Red Star Belgrade is a boost ahead of their game against Rennes, however. 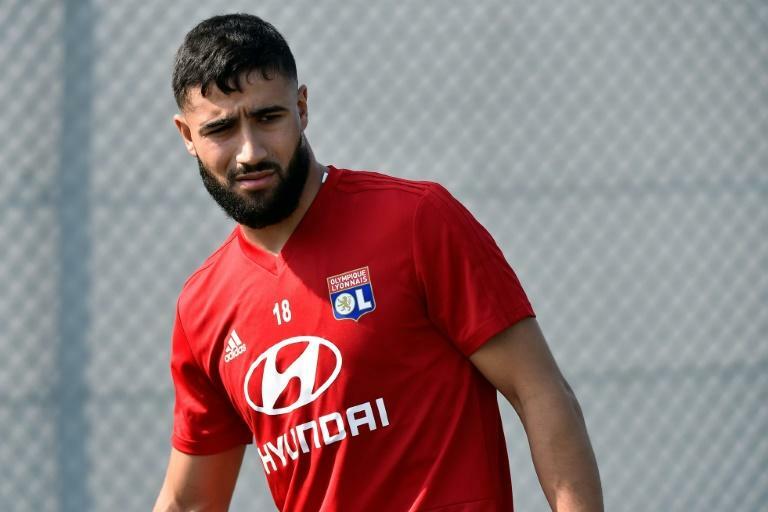 After winning the World Cup with France, the 25-year-old Fekir was given time off by Lyon and so did not play in their opening two league games. But after a summer also marked by the collapse of a transfer to Liverpool, the Lyon skipper is back and set to play against Strasbourg on Friday. "What happened was difficult for him to digest," coach Genesio said of his aborted transfer. "But he is at Lyon, his home, and in the Champions League. It could be worse."